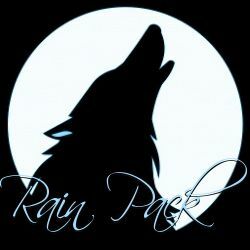 Rain Pack's territory is centered around one monumental thing that shapes the wolves' lives- The churning river that makes its way into every pack in the Allegiance in some form. The land around the river droops slowly inward, and his covered in thick, evergreen foliage. The camp of this pack sits at the banks in an area where the current isn't so strong, and all dens are carefully created out of the mud and rock on the shores, leaving each many smaller groups of friends and families a den of their own, the exceptions being the healers' den and the alpha's den.